5 A Day Keep the Doctor Away & My Downright Irrational Fear of Snakes. I took a little break from 5 a Day because I had program forms due, storytimes to flush out, and an assortment of other excuses, but to wrap up the end of the year, I’m back in business. So far, I’ve read & logged 100 picture books due to this venture and I’ve been quite pleased with the results. Too bad parents haven’t really asked for books on topics that I’ve read… Last week a parent asked for a book on “listening” – as in getting her child to listen to her. Any suggestions? We sent her home with Listen, Buddy by Lester and requested Percy Listens Up by Murphy since it was checked out. Pound Dog wants nothing more than to play with Frog so he coaxes him out of the play house on the pretense that he has a surprise for him. Pound Dog takes Frog out into the garden where the other frogs are singing at the pond. Dog tries to sing too, but they tell him he’s just howling and he can never be a singer. Mean frogs. An abrupt ending to the story. Dog is confident in his abilities at the end. An okay book, but there are better ones. 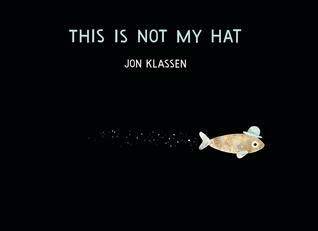 This was a fun book that highlighted different people in history and their unusual hats. This would be a great book to use before a hat-making craft of some kind or a historical overview of different figures from history. Maybe inspiration to dress up as these people for a report or halloween? A book that goes through a series of different scenarios with some seals who just want to have fun. They start playing with two seals and try different combinations to make it work so that 3 seals can play together and no one gets left out. Good for practicing prediction with pre-schoolers. This book was too cute. A little girl isn’t sleepy, but yawns a great yawn which is heard through the phone and travels around the world until it gets back to her and she’s fast asleep. 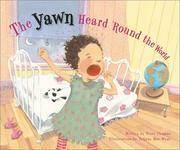 A great pre-school bed-time book. I thought this book would be about well, snow angels, but it was a little more literally about angels who appear to help when you make a snow angel in the snow. Two little girls and their new found snow angel friends go around helping and doing good deeds around town. The thing that struck me the most about this book was actually the paper used. Its a very thick and sturdy paper which can stand up to the roughness of little hands. I really liked the illustrations in this book. They reminded me of Rugrats or the Thornberrys which were on Nickelodeon when I was a kid. The story was nice but a little sad in a way. 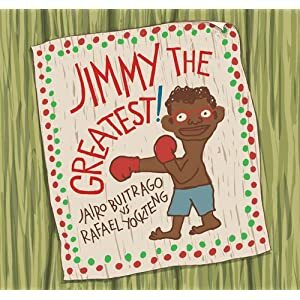 A boy discovers he has a talent for boxing but instead of going to the city to try and make it big he stays home and helps the kids in his town – teaching them to box, starting a library, etc. Sometimes the hardest thing you can do is stay where you are and make that place just a little better for everyone else. This book is an excellent bed time book. By the end of the story I was ready for a nap of my own. 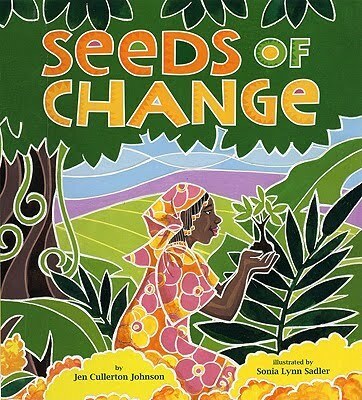 The text and illustrations lend to a peaceful, sweet, calm sense. A great bedtime book or book to calm the little ones. There was a lot of text but it didn’t feel like a long story at all and could be appropriate for older pre-schoolers in a storytime setting. A beginning reader about a girl who gets a doll as a gift and can’t decide what to name her. The vocabulary is simple and the story is relateable and interesting enough for children. The illustrations are of course Henkes beautiful. 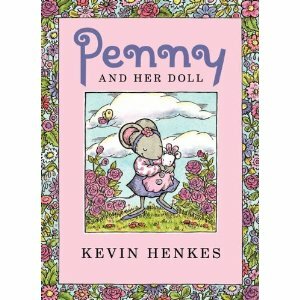 I didn’t read the first Penny book so I can’t attest if its a good follow-up, but it is definitely a good stand-alone. Love this book! I think this would pair well with I’m the Biggest Thing in the Ocean since this little dare devil also gets eaten. The pictures convey about 50% of this story so there is a lot to discuss with the children. This book is a must-read! 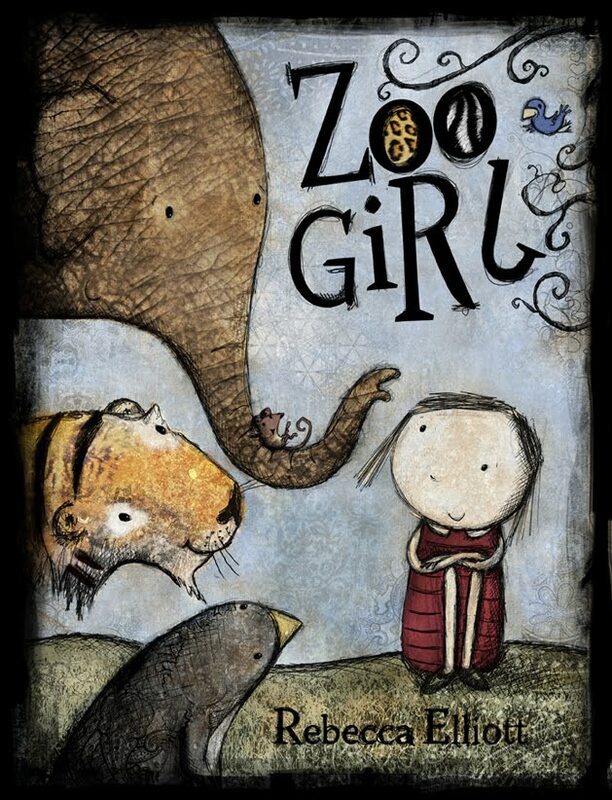 This book was good to teach children the parts of a story, how to put the words you see around you together, and what makes a story interesting. Other than that, I thought it was kind of bland and not all that entertaining although the illustrations are adorable and I love Owls (Owl becomes Rocket’s new friend). 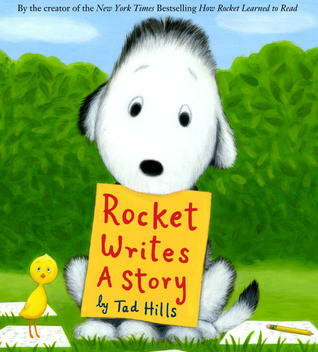 This book would be for elementary school kids learning to write simple stories – maybe 1st/2nd grade? Like much of what Woodson writes, this story just about broke my heart. When I look back upon elementary school, I imagine that I was like Chloe in this story. While I wasn’t necessarily out-right mean, I probably avoided kids like Maya. Luckily for me, though, when I realized what I had done and the guilt took me over I had the opportunity to make the situation right and try to become friends with the person I had wronged. Spoiler, but this isn’t the case for Chole, who has to learn to live with what it feels like to know you treated someone unfairly and unkind and you cannot make it up to that person. 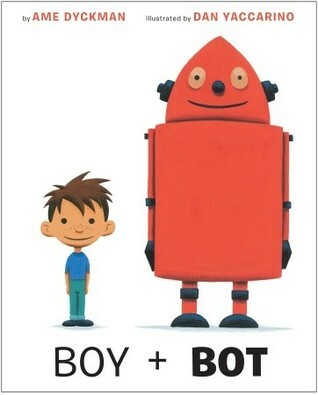 A great book on the subtlties of bullying, I don’t think the message is shoved down anyone’s throat and lends itself to teaching children empathy more than anything. 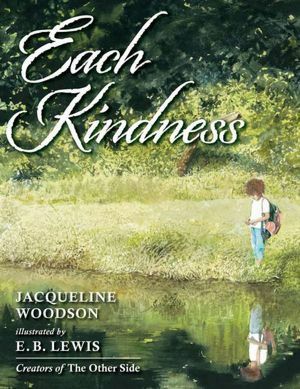 This book teaches the value of helping others and paying it forward as well as gives children practice in saying thank you. I imagine my Baby Storytime parents using this book as a participatory one since the Thank You is repeated and you just change who you’re thanking. Cute, bright illustrations and simple text make this book a win. A bedtime book that talks about all the different animals that sleep in order to entice the little princess to close her eyes and rest. This book just about lulled me into sleep – not because it was boring, but because of the rhythm and gentleness of the story. This would be good for an evening pre-school pajama storytime. Have I mentioned how much I love Dan Santat’s illustrations? Well, if I haven’t, let me mention it again because they are absolutely wonderful. The expressions on Dog’s face as you open the book make you want to read the whole story, and the story does not disappoint. Dog is tasked with watching all the cats while their owner is away and of course the cats don’t listen to him at all, but they pull through and keep him from getting into trouble. 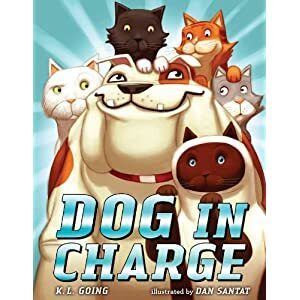 A fun, funny, and silly book, Dog gets a run for his money and comes out on top. 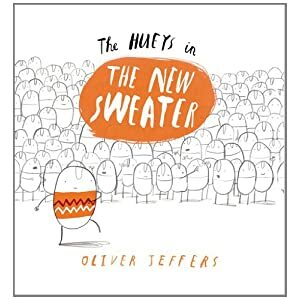 Another of my favorite author/illustratoes, The Hueys in the New Sweater was a story about standing out in the crowd and becoming a trendsetter. All the hueys look alike until one puts on a sweater. At first, everyone think he’s weird, but then the trend catches on until everyone looks the same again – because they’re all wearing sweater! What trend will Rupert think up next? Side note: i also love the names Jeffers uses for the Hueys… Rupert, Gillepsie… Not your typical picture book names. Okay, okay, I know I’m sounding like a broken record in this post, but Dan Yaccarino! I also love his illustrations, and Boy + Bot does not disappoint in that department. Vibrant colors and stand out images make this book easy to see from afar, even those pages with multiple panels. The story is cute. The boy takes care of the robot and the robot takes care of the boy which could lead to chaos but all turns out splendidly in the end. Making new friends is always fun – even when you think you may have nothing in common but find the important things in common instead. This story was actually really really sad in the beginning, given its limited text. All’s well that ends well, though, and this could be used as a story about loneliness or adoption, although I think I’d rather go with the former than the latter since the first few pages are SO SAD. I personally like these Tim Burton-esque illustrations (I have no art background, can you tell? ), but I think in this case it made the first half of the book sadder than it needed to be. The second time I read it I saw the ending as a lot happier than I did before, but I’m not sure if all children will be able to shake that initial feeling the first time through. Or I’m just really over thinking this one… Yeah, it’s probably that. A tale of telephone gone wrong, this lyrical book would be great to use along with Bruchac’s How Chipmunk Got His Stripes which I tend to use with 3rd and 4th graders. It can involve audience participation and while I felt the moral of the story part fell a little flat, it could lead to a good discussion of spreading gossip and rumors and the dangers that ensue. Little fox wants to do everything on his own, but his mother and father keep telling him “almost”. Finally, he can fend for himself and they send him out into the wild. 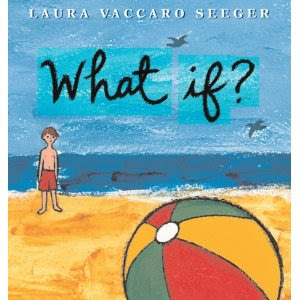 A cute book, this one would be good for one on one sharing about growing up. I think its a little long and not spunky enough for a storytime choice, however. This is a strange addition, I know – Especially considering Mouse Paint is one of my favorite flannels to tell (I have jars of paint and the mice pop out of them in their different colors). But, I’d never read Mouse Count. And then I started reading the book and I realized why. This story features a snake. And, like Indiana Jones, I HATE SNAKES. Like total irrational, shivers, shaking, eyes closed, screaming, sweating fear kind of I hate snakes. It’s gotten better as I get older – mostly because I force myself to confront this irrational fear – but only in print form. Yes, that’s right, I couldn’t even look at snakes in books, movies, fake snakes, real snakes, etc. I still don’t like to look at pictures of snakes and always cringe when a child asks me for snake books, but I know that I have to at least try, so when I find myself confronted with this situation, I at least glance at the cover, shiver, explain to the child that I am terrified of snakes, but here’s their book, and go on my merry way. When I started reading Mouse Count and realized that that snake on the cover was, in fact, a snake, and not some other limbless creature (I’m fine with eels and all other forms of reptiles), I surprisingly got uncomfortable. Especially when he was putting the mice in his mouth to put them into the jar. YUCKTH. I’m getting grossed out just thinking about it. But, I made it through, and while I liked the story, I know that I can never tell it to children using a snake, so I will have to think of something else that eats mice and substitute it for an awesome flannel. Anyone have any suggestions? Odd Dog isn’t so odd. He’s just tired of getting the shaft and wants a little something for himself. The power of people surprises him, though, when the person who he feels takes everything gives him what he most wants, and he discovers that people, or dogs, rather, aren’t all that bad. A nice picture book for one-on-one reading about sharing and friendship. This story about 2004 Nobel Peace Prize Winner Wangari Maathai was very touching. It talked about growing up in Kenya and her desire and journey to becoming a scientist and environmental leader. The text is very long, making it a hard read aloud, but this is a story that should be shared with girls on the power of persistence. 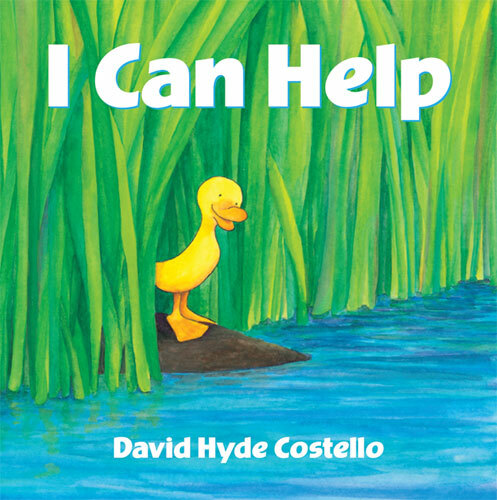 A little long, this book is good for beach themes, summer themes, duck themes, and play time themes. The rhyming text helps it out but there isn’t too much of a story to keep it very interesting. This book was far too long and not very interesting with confusing writing. The author used parenthesis to explain where Max’s hand was (in his pocket) instead of incorporating it into the sentence. I’m not sure what age this was geared toward but I’m pretty sure that type of thing just makes it more confusing to a beginning reader and the sentence structure doesn’t flow properly. Very disappointing. One program that I really want to try someday is Yoga in the Library. I’m not sure if I need to be a certified yoga instructor for this, though, so I need to do more research other than the idea of wanting to do it. This book fits in nicely, though. Each child in the book says what their parent does and then the narrator says what his dad sometimes that relates to the career and a yoga move. The book explains step by step how to perform each simple move. A very fun book that made my muscles ache and feel like they needed a good stretch by the end!